Can I Be Arrested for Having Medical Marijuana on My Person? It’s no secret that medical marijuana is rife with controversy. And at the heart of this controversy? The law. Marijuana is categorized as a Schedule I substance by the Drug Enforcement Administration (DEA), and while more and more states are legalizing and decriminalizing medical and even recreational Cannabis, the fact remains that marijuana is subject to harsh criminal penalties at the federal level. So how does this conflict between state and federal law affect registered medical marijuana patients in Massachusetts? Can you be placed under arrest because you have medical Cannabis in your purse or pockets? In this article, Dr. Tishler will review your legal rights as a registered Cannabis patient. Is Recreational Cannabis Legal in Massachusetts? 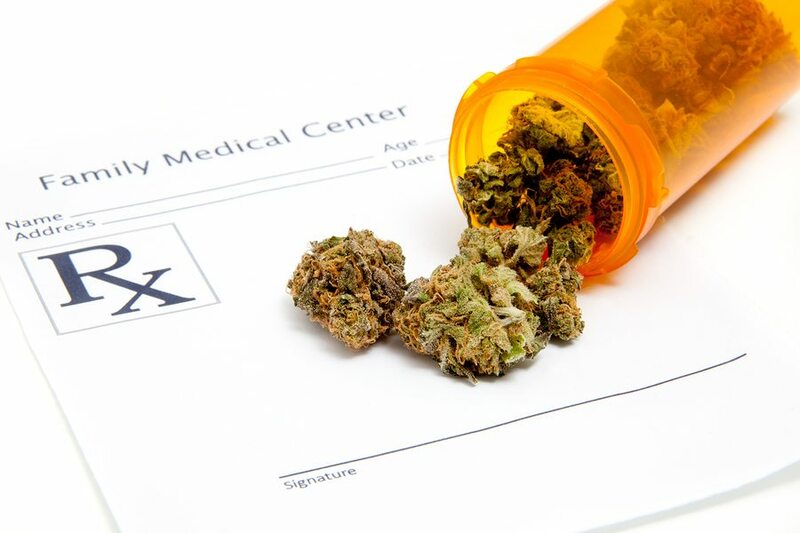 Before we start exploring this topic in detail, it is extremely important to emphasize the fact that each state has its own set of laws governing the certification and use of medical marijuana. The Cannabis laws in Massachusetts may be entirely different from the laws applicable to your state, so it is absolutely critical for medical marijuana patients to familiarize themselves with the laws in their specific jurisdiction. It’s also important to emphasize that this article should be used as a general informational guideline, and does not constitute legal advice. If someone you love was arrested for having medical marijuana on their person, a charge called “simple possession,” you should consult with an experienced defense lawyer. An attorney will be able to advocate for your legal rights and fight any charges which violate you or your loved one’s rights as a registered Cannabis patient. That being said, let’s take a closer look at the complex relationship between marijuana and law enforcement in the state of Massachusetts. That requires rewinding the clock. Can a Police Officer Arrest Me for Having Medical Marijuana? Of course, the above applies only to recreational marijuana. Four years after recreational marijuana was decriminalized, Massachusetts voted in favor of legalizing medical marijuana, resulting in the passage of Chapter 369 of the Acts of 2012, otherwise known as the Act for the Humanitarian Medical Use of Marijuana. Chapter 369 of the Acts of 2012, An Act for the Humanitarian Medical Use of Marijuana, allows a qualifying patient to possess a 60-day supply of marijuana if the patient has a written certification from a Massachusetts licensed physician. The guide even includes sample pictures of what Registered Patient Cards, Registered Caregiver Cards, and Registered Dispensary Agent Cards look like. Police officers should be just as familiar with these cards as they are with state ID cards and driver’s licenses. While police officers should be able to recognize your documentation, it is still your responsibility as a patient to have your card on you at all times. Keeping your card in your purse or wallet will help you avoid any legal hassles with law enforcement. 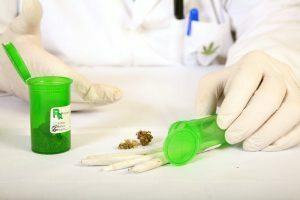 It goes without saying that if you are caught possessing marijuana and do not have any medical documentation, the police will be strongly disinclined to believe your claims that you have authorization from the state. To reiterate, Chapter 369 limits possession to a 60-day supply at maximum. Even if you have a certification, you may only use your marijuana for medical purposes. You are not legally allowed to “ sell, barter, shar[e], or otherwise distribut[e] your medical Cannabis to anyone else. If you follow these guidelines and remember to keep your documentation with you, you should be able to remain free of hassle from law enforcement. If a police officer does approach or question you, remain calm, polite, and compliant, but do not volunteer any information which is not expressly asked for. Police officers are human and sometimes make mistakes, so try not to panic, and certainly do not react with aggression: just remember that you are protected by the Act for the Humanitarian Medical Use of Marijuana. You should always contact an attorney if you have any doubts about your legal rights or need legal representation following an arrest. To learn more about your rights in-depth, you can read the full text of the Act for the Humanitarian Medical Use of Marijuana. Our guide on how to talk to your doctor about Cannabis can also help you start opening a dialogue with your physician. Medical marijuana has helped countless patients manage their symptoms and enjoy a greater degree of physical comfort in their everyday lives. If you’re living with chronic pain, chronic insomnia, cancer, arthritis, anxiety, ALS, depression, MS, glaucoma, HIV/AIDS, or are undergoing chemotherapy, medical Cannabis could be right for you. Call Dr. Tishler at (617) 477-8886 to start discussing your medical needs and learn more about the health benefits of marijuana in a confidential consultation.